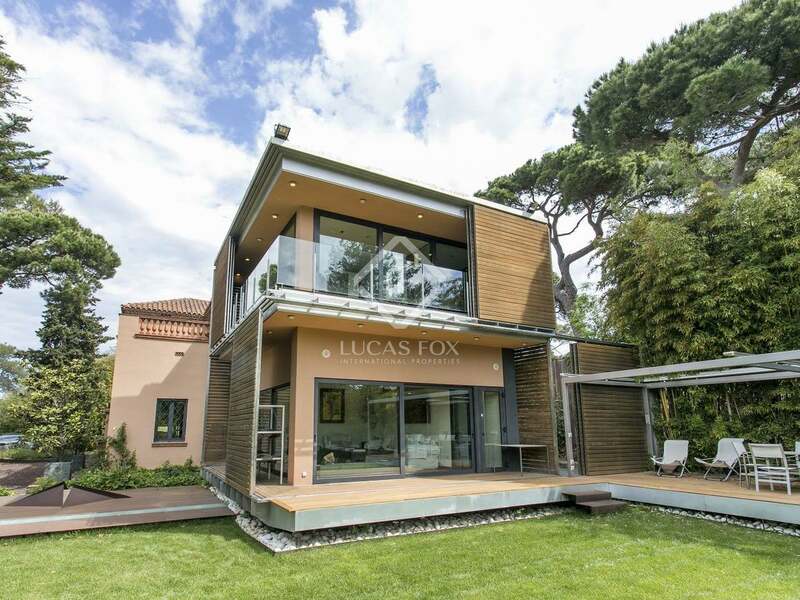 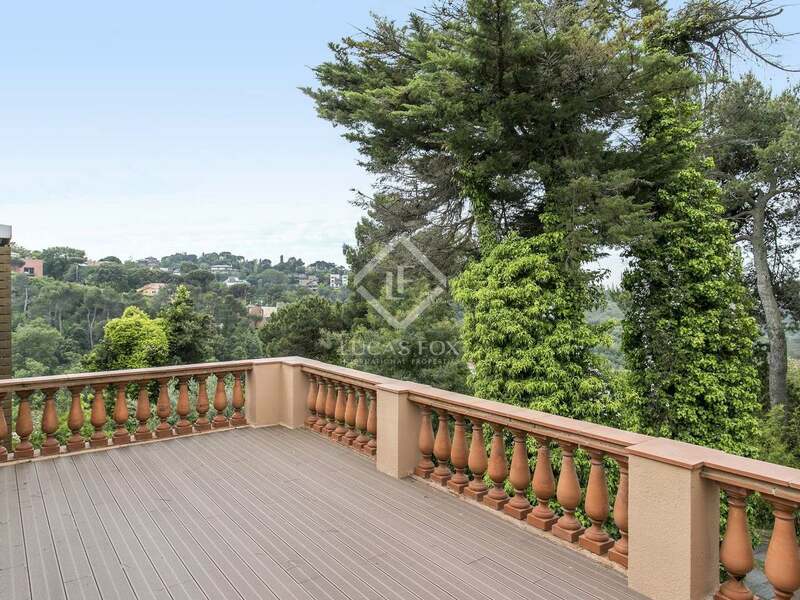 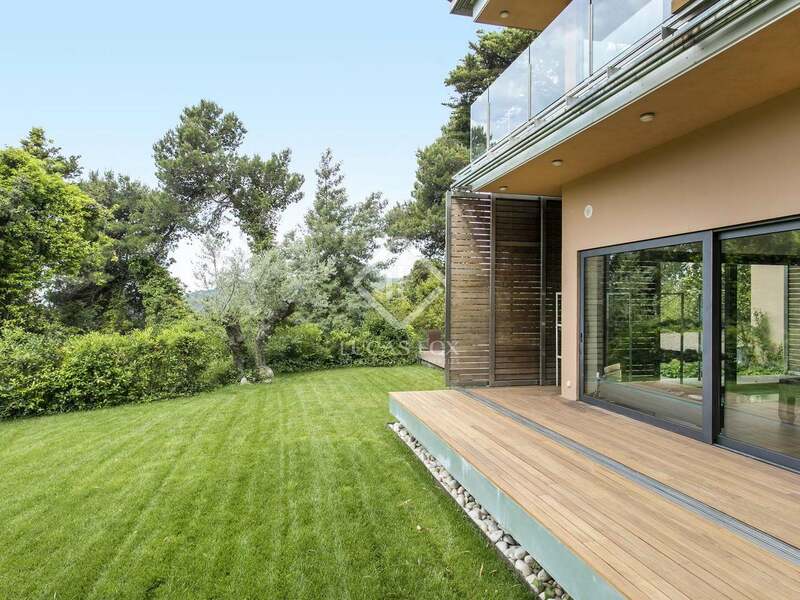 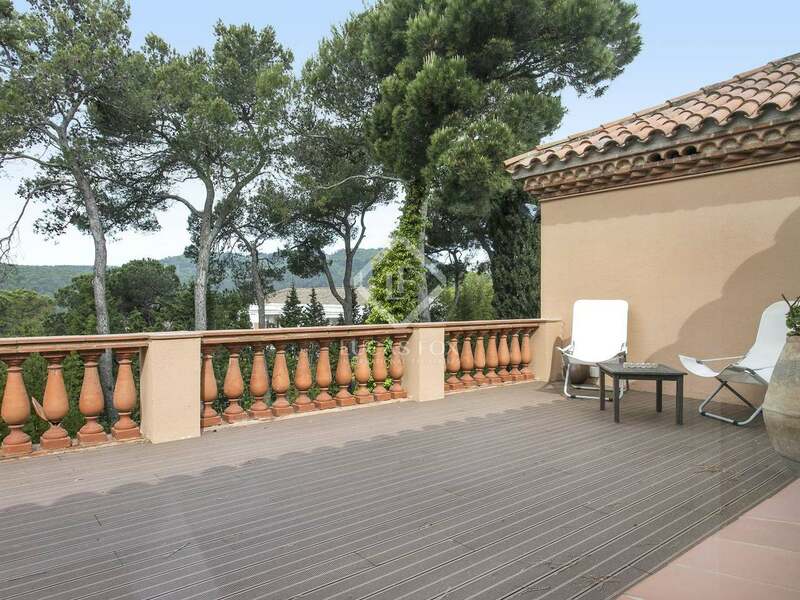 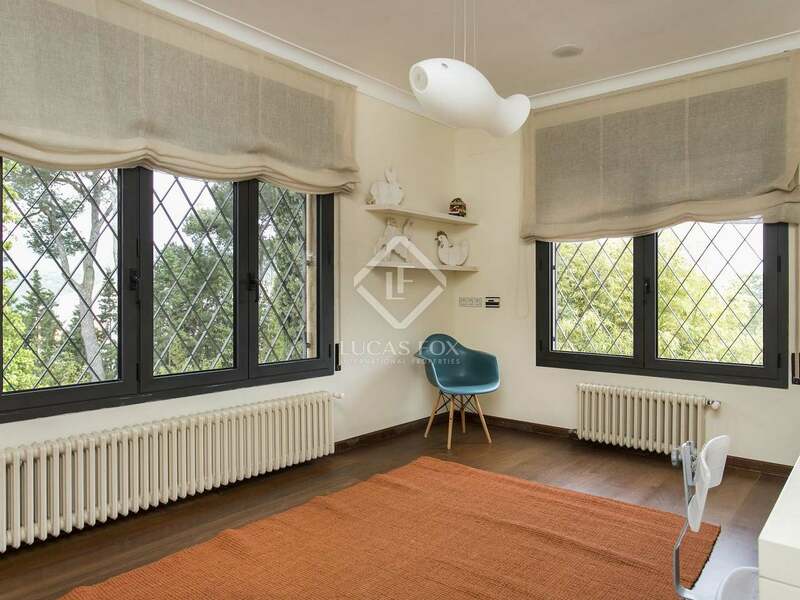 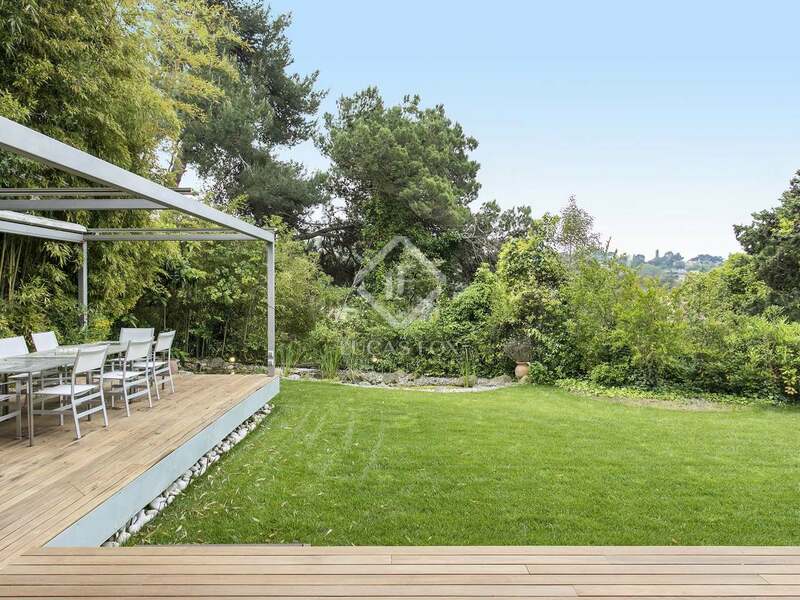 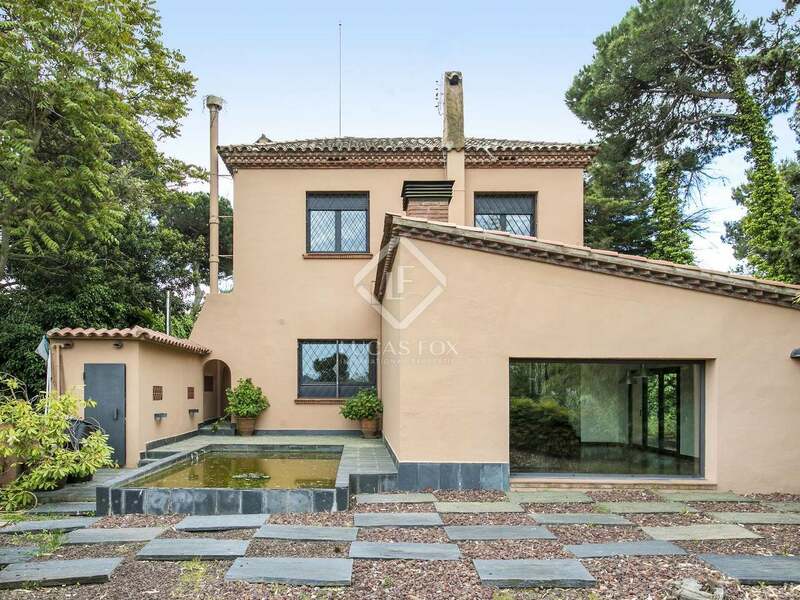 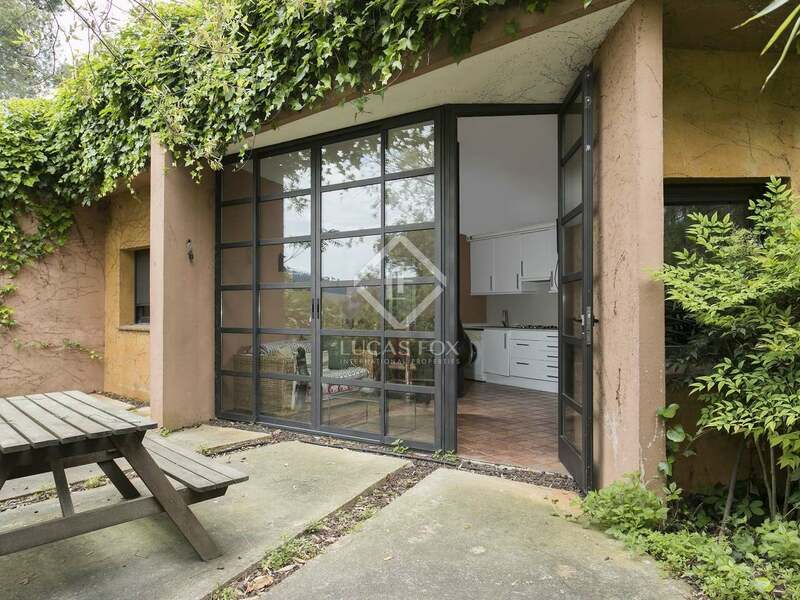 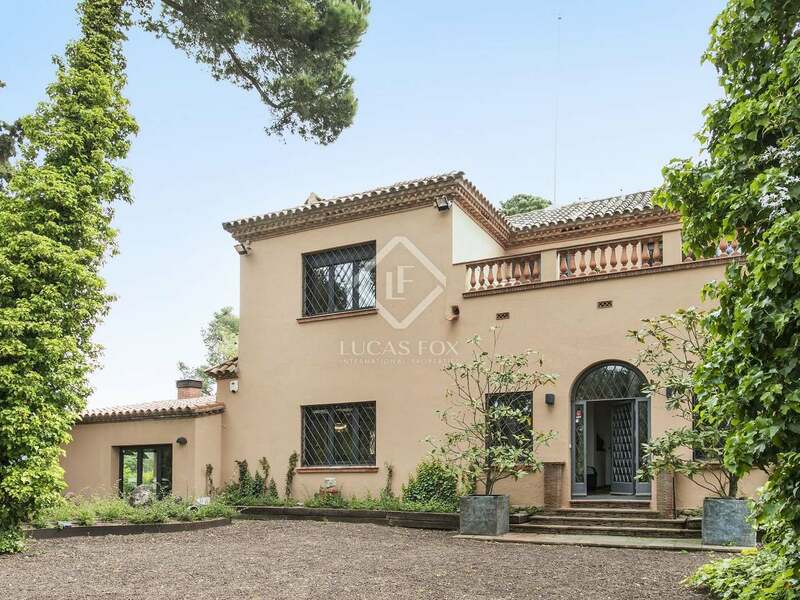 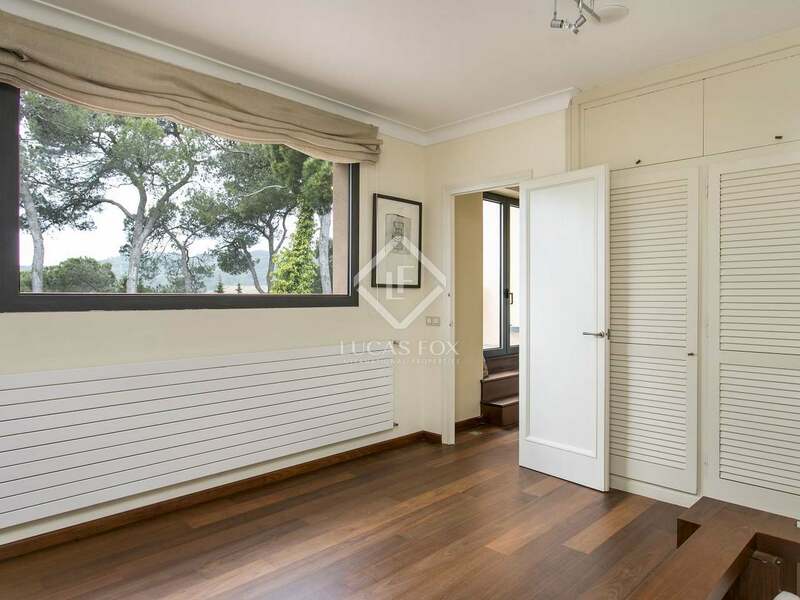 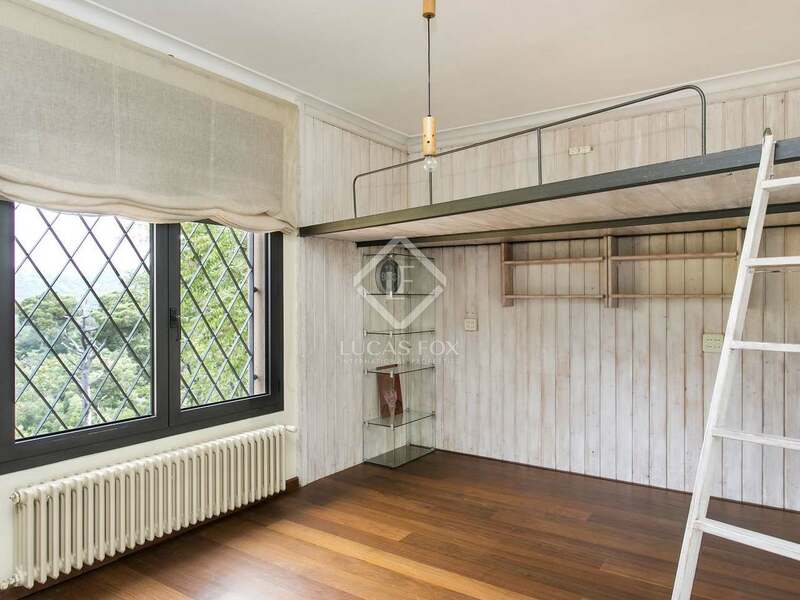 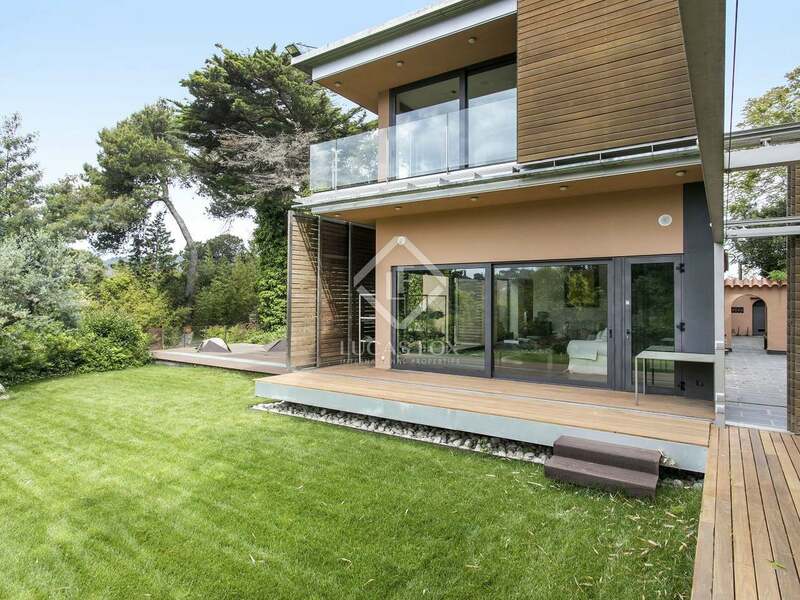 509m² house located in one of the best residential areas of Vallvidrera, in a peaceful, leafy setting. 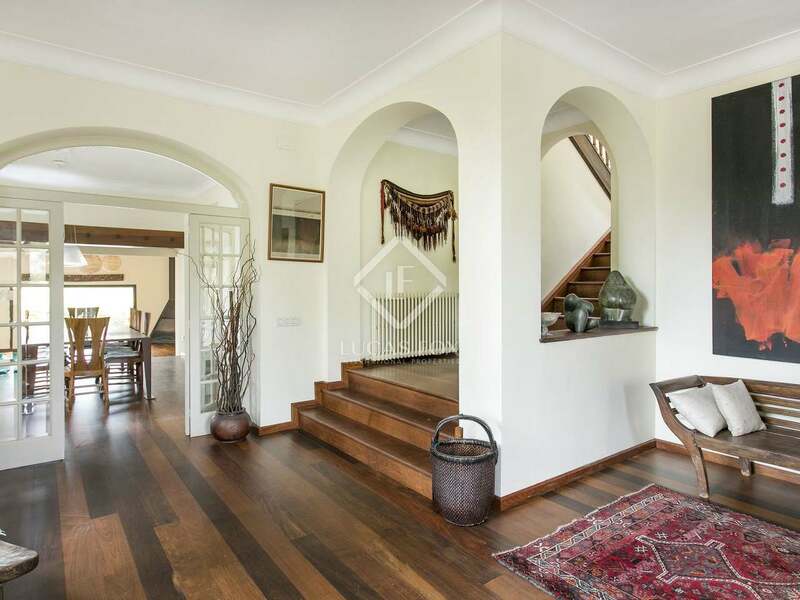 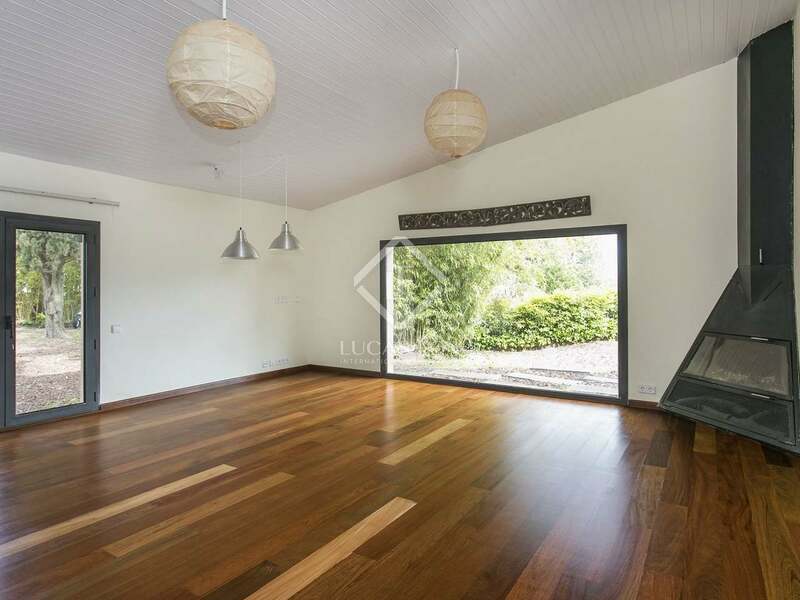 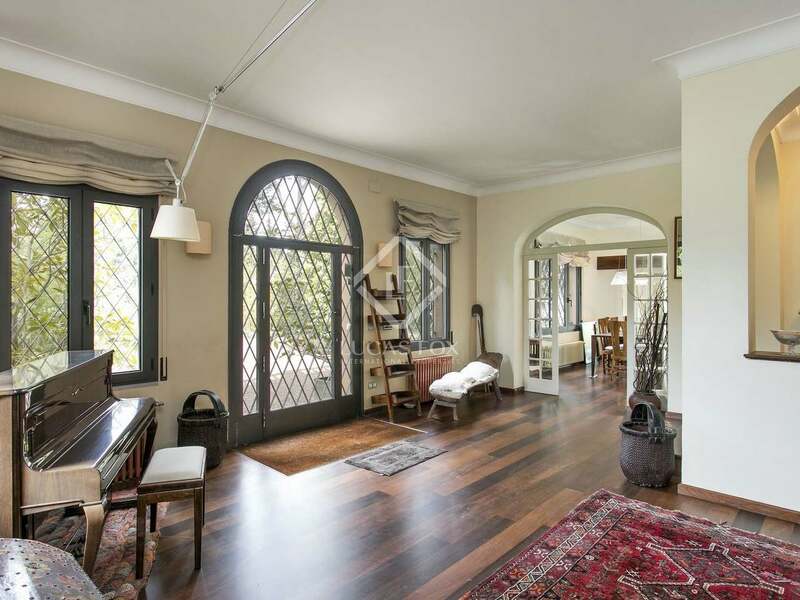 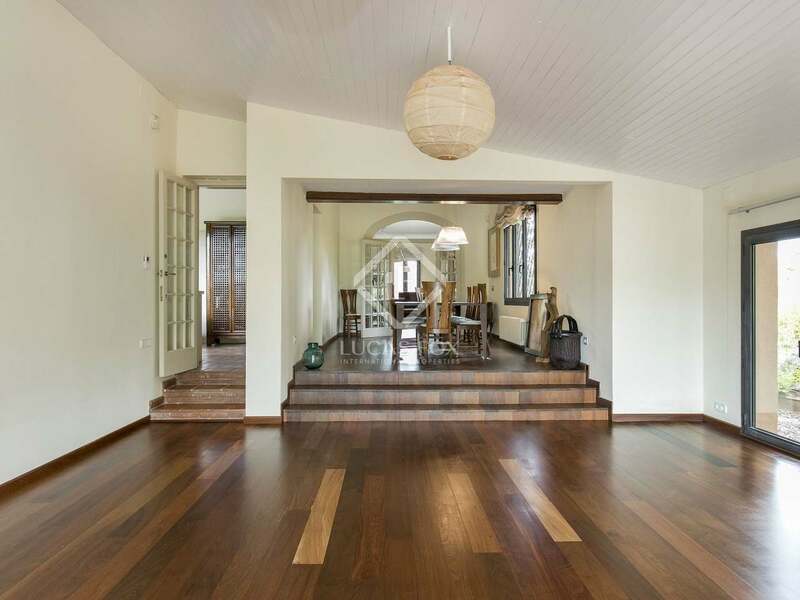 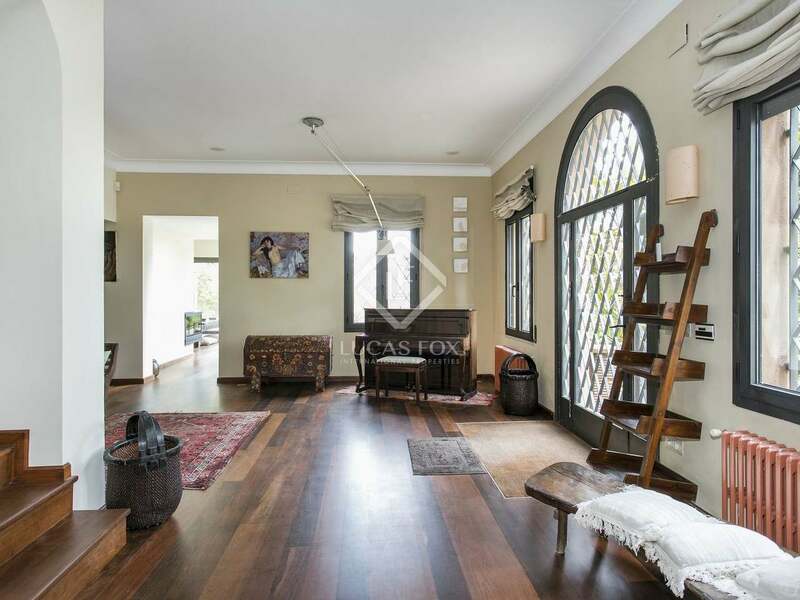 The ground floor of this impressive house consists of a large living and dining room with attractive tropical wood flooring and abundant natural light. 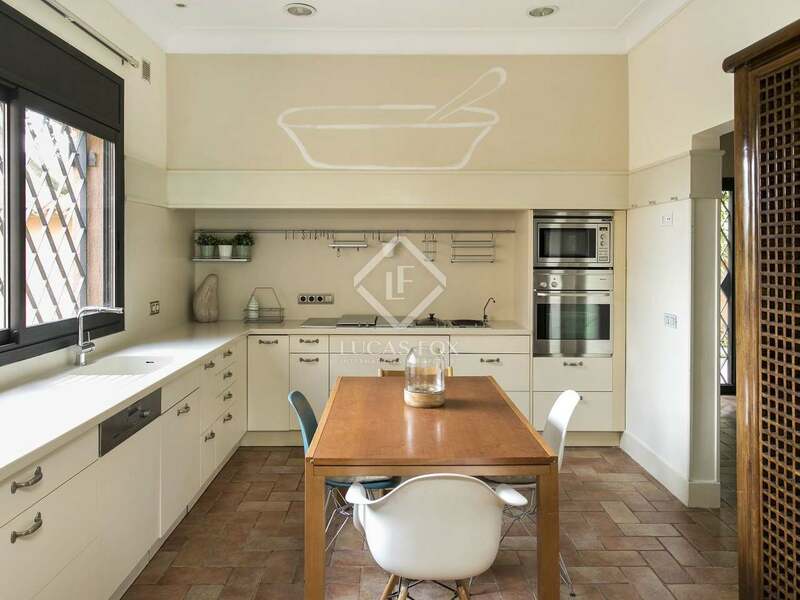 The kitchen diner is fully equipped with an ironing and laundry area and beautiful views of the garden with a pond, a sculpture signed by Gabriel and Collserola park. 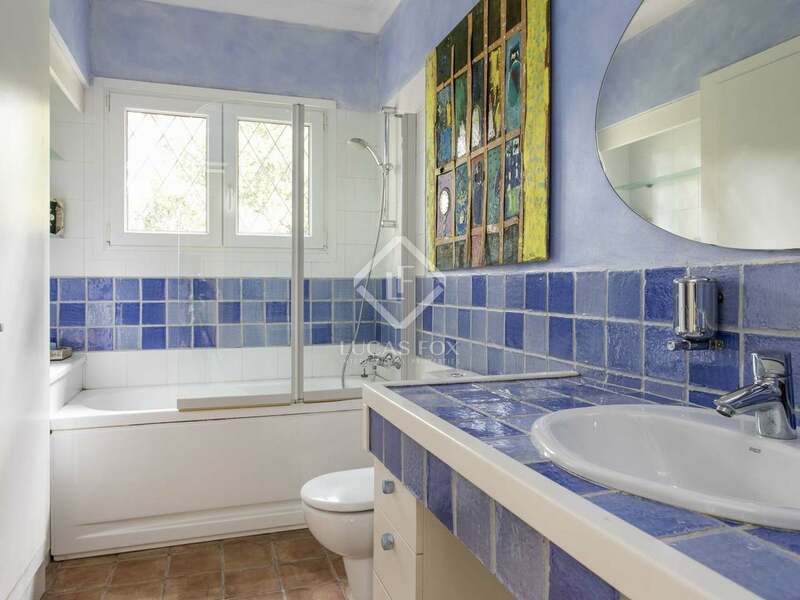 There are 2 bedrooms on this level of the house, one of which has an en-suite bathroom, there is also a guest WC. 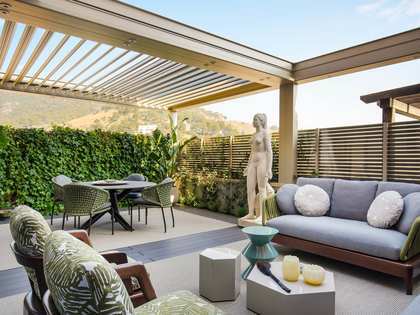 A further living area with an exit onto a porch with a barbecue area and pergola with an electric awning offering shade from the summer sun complete the ground floor. 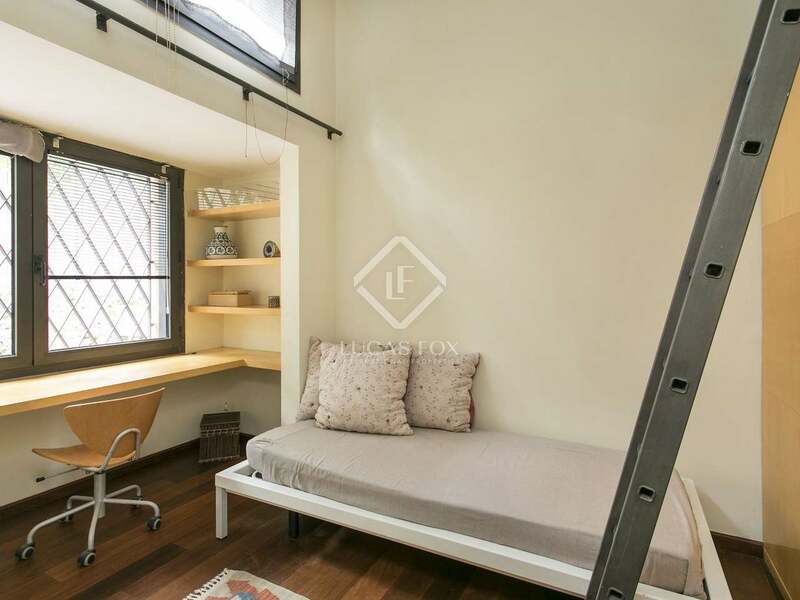 There are 2 terraces and a total of 3 bedrooms on the first floor. 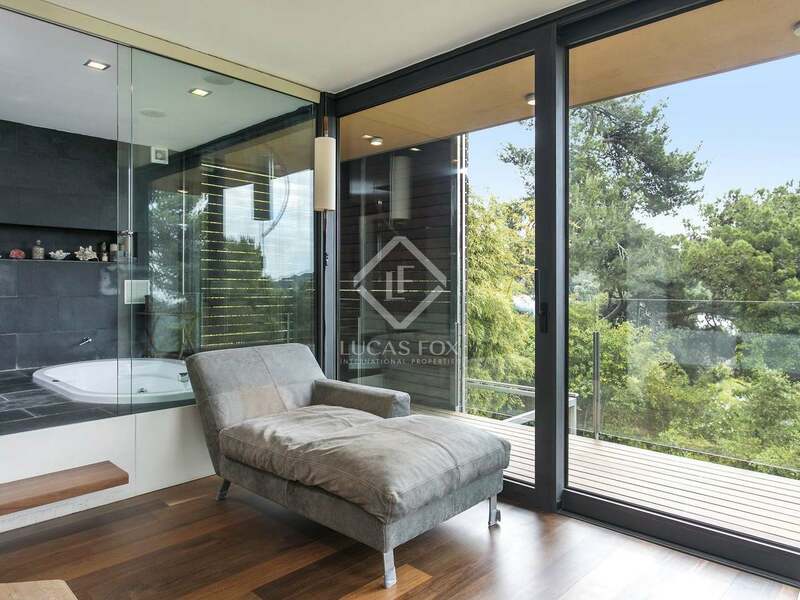 Two of the bedrooms share a bathroom whilst the master bedroom measures 70m² and has a double en-suite bathroom with a utility area, dressing room, relaxation area and access to a terrace with floor-to-ceiling windows and lovely views of the surrounding nature. 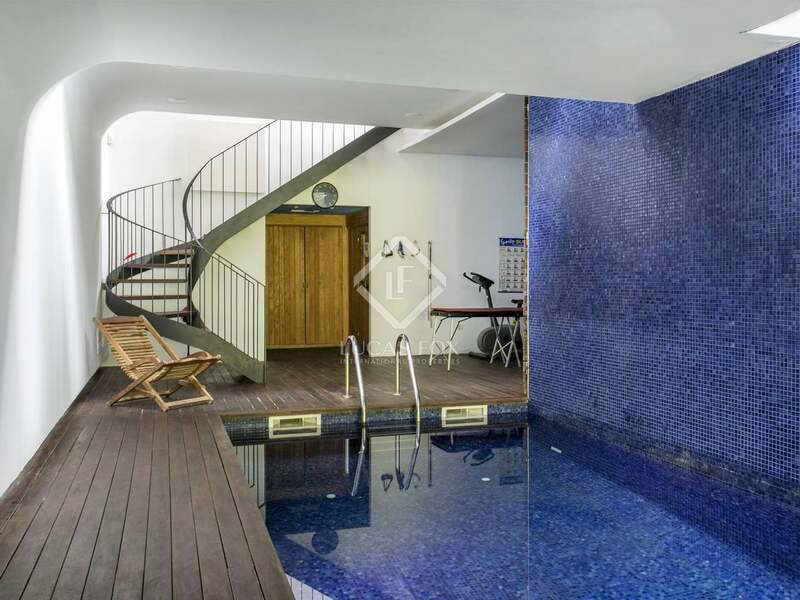 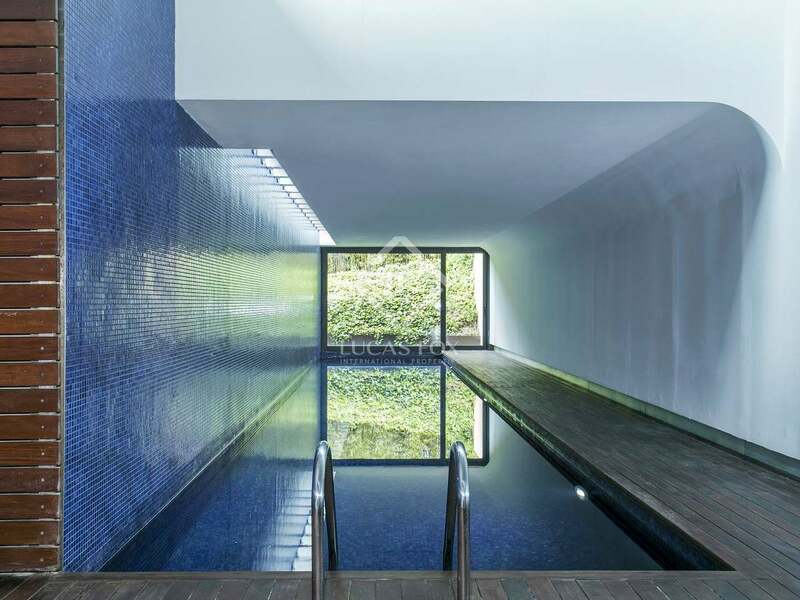 A highlight of this wonderful house is the heated indoor pool with 2 swimming lanes, with a sauna, gym, bathroom and dressing room located in the basement with a large listed scupture of some 60 m² signed by Ernest Altés. 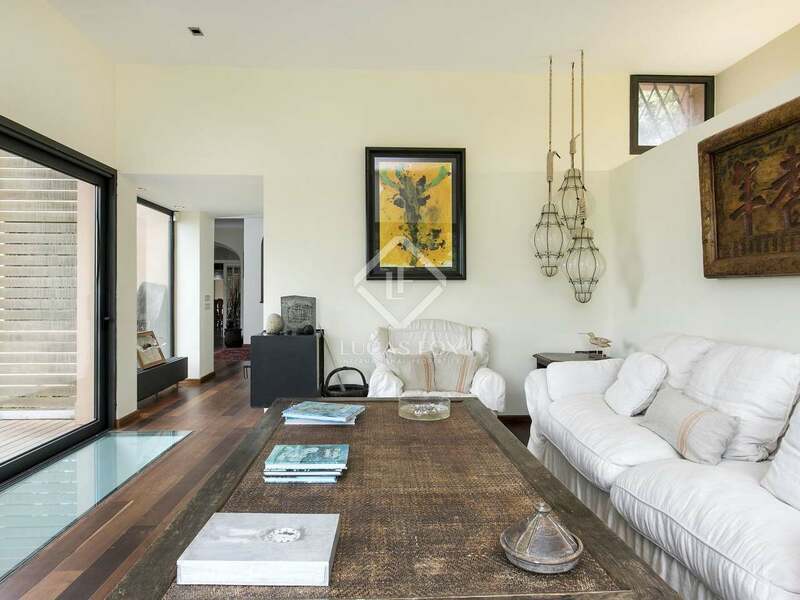 In addition to the main house there is a separate guest house of 50 m² with 1 bedroom, kitchen living room and office. 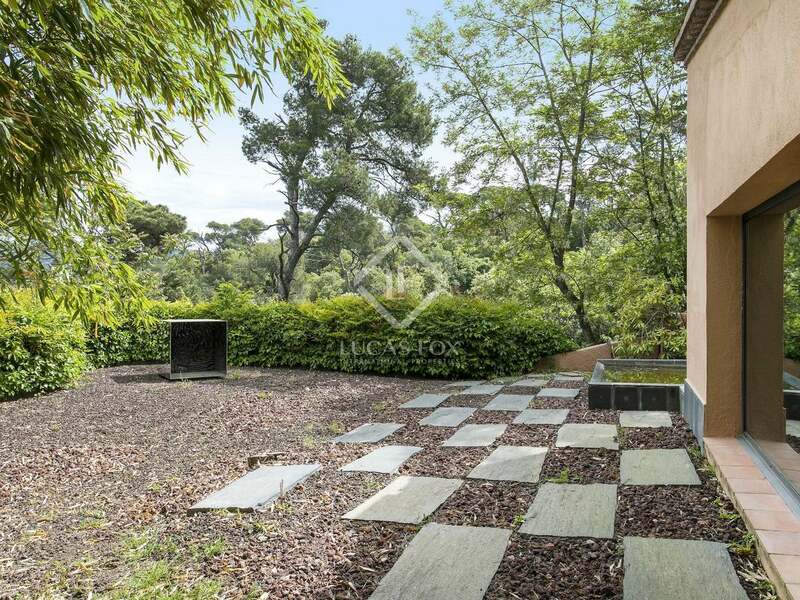 Set on a plot of 4,890m², 1.893 m² of which are urbanisable, with the possibility to extend the building by 1.412 m². 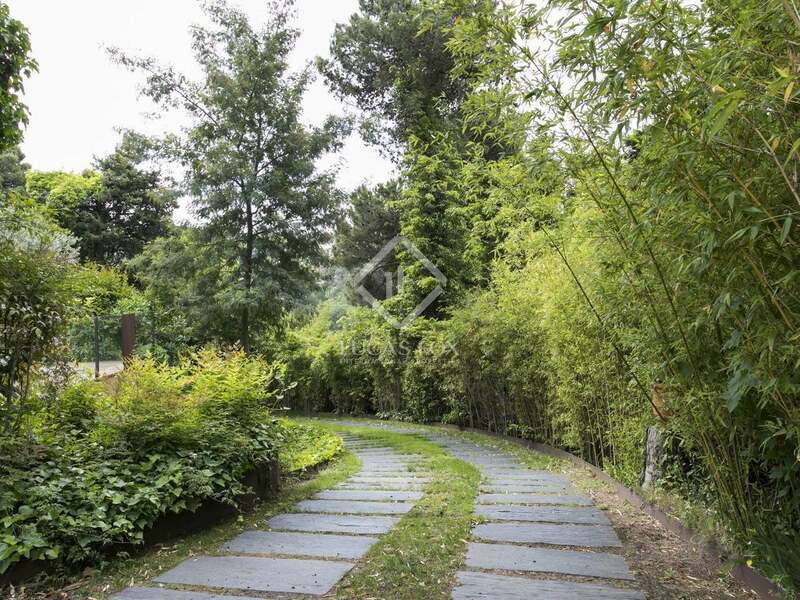 The rest is natural park belonging to the property. 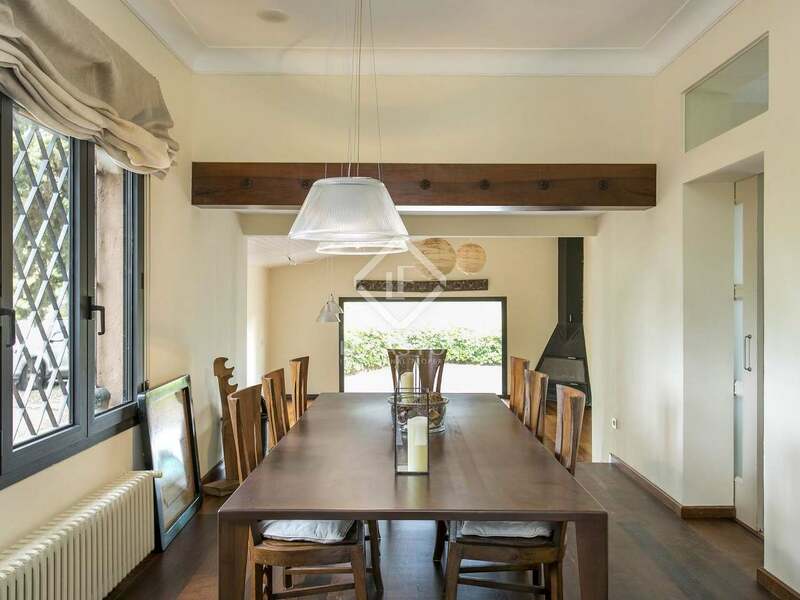 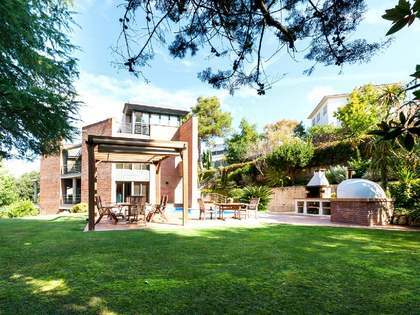 An excellent option for families looking for a peaceful and private home in Barcelona's Zona Alta. 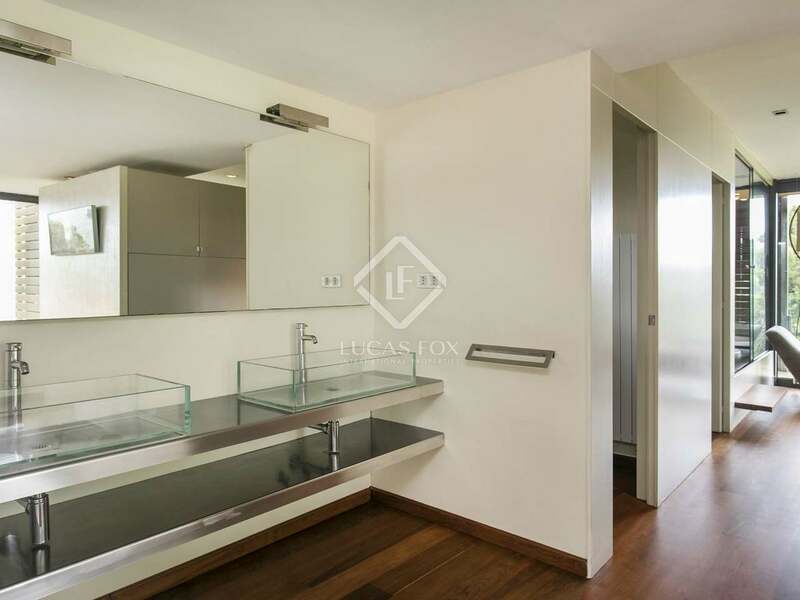 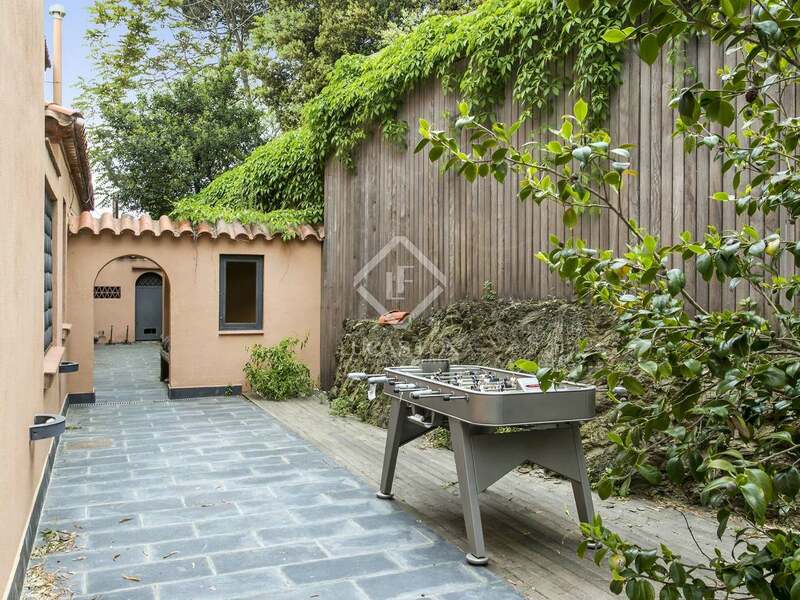 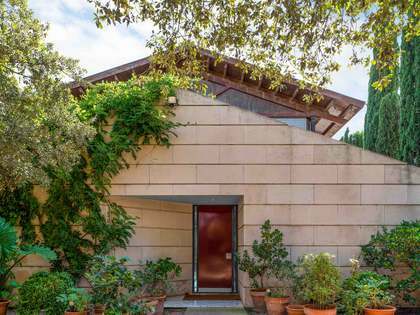 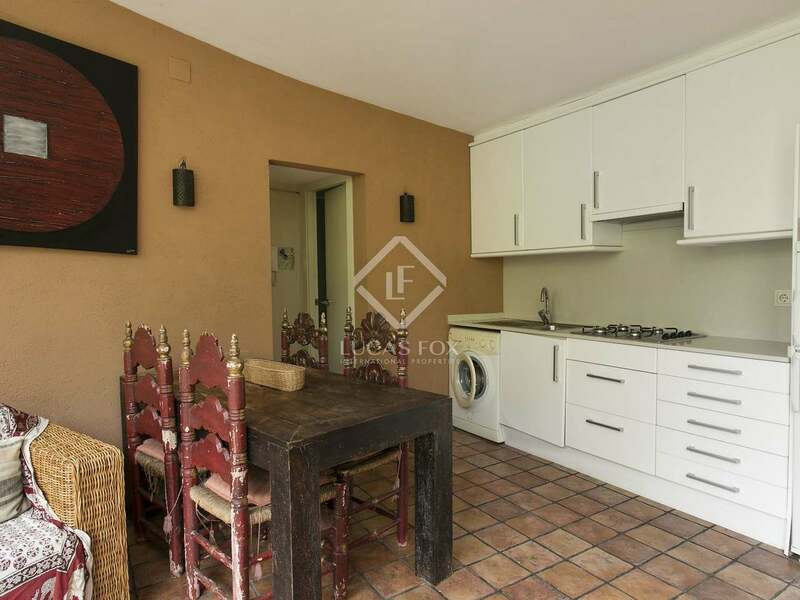 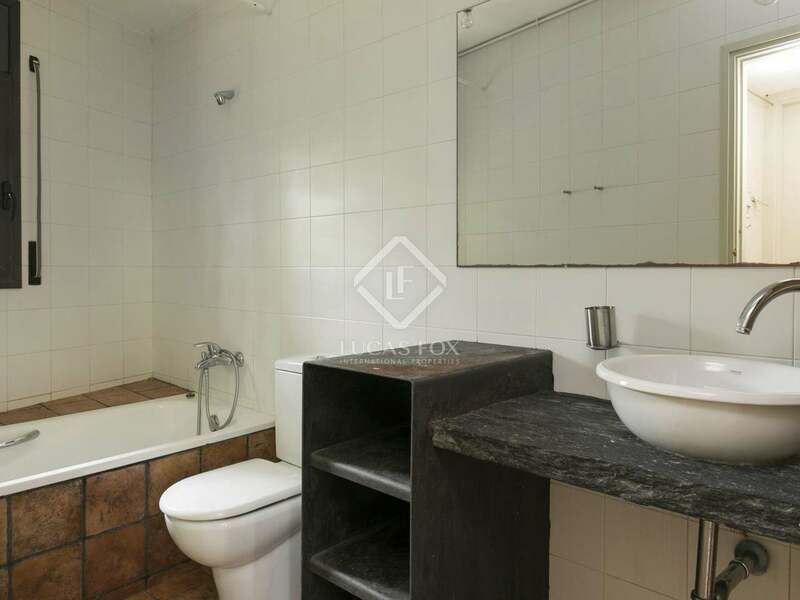 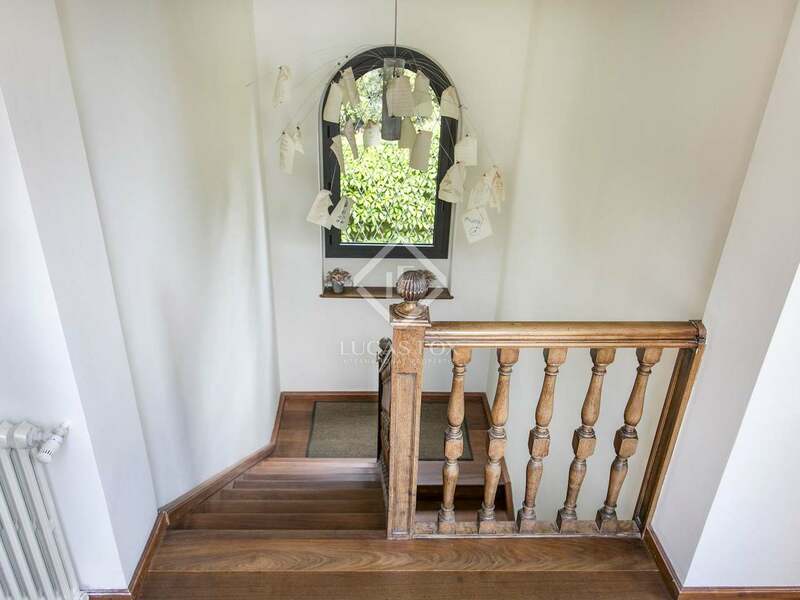 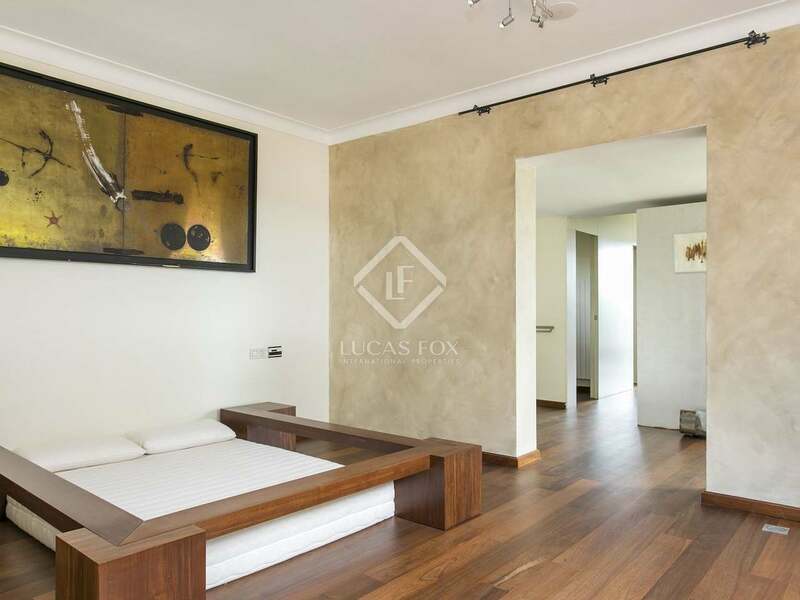 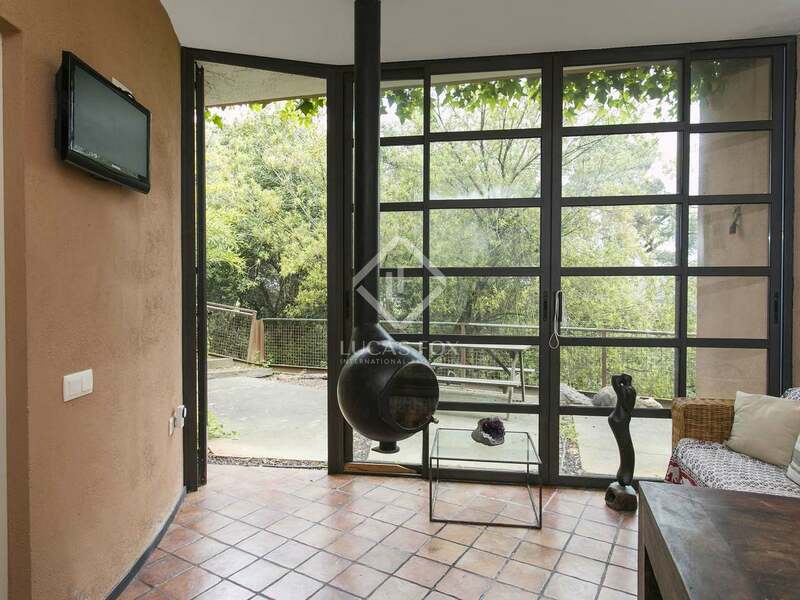 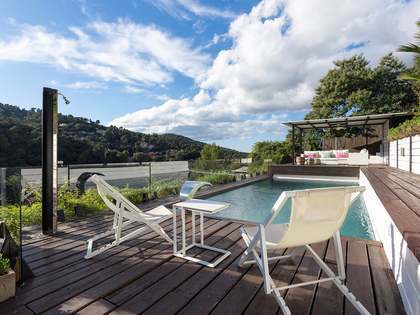 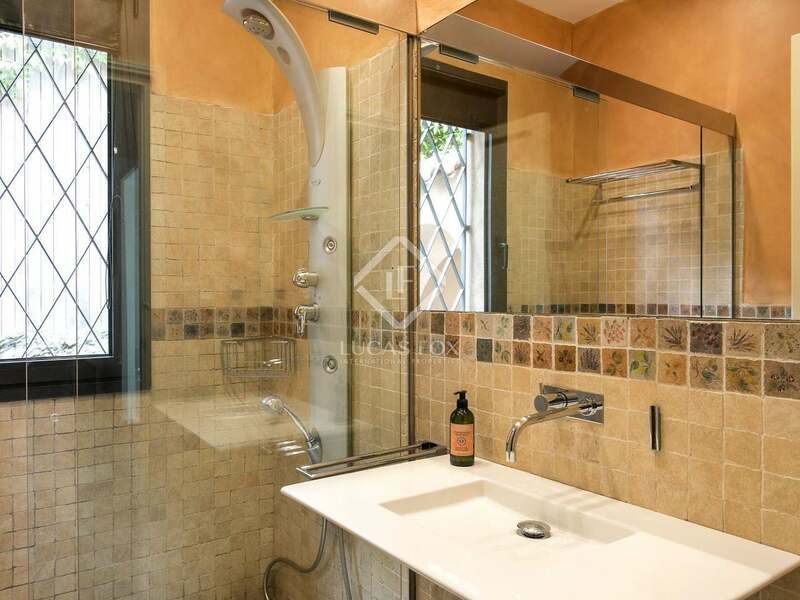 Property located in one of the best parts of Vallvidrera in Barcelona's Zona Alta. 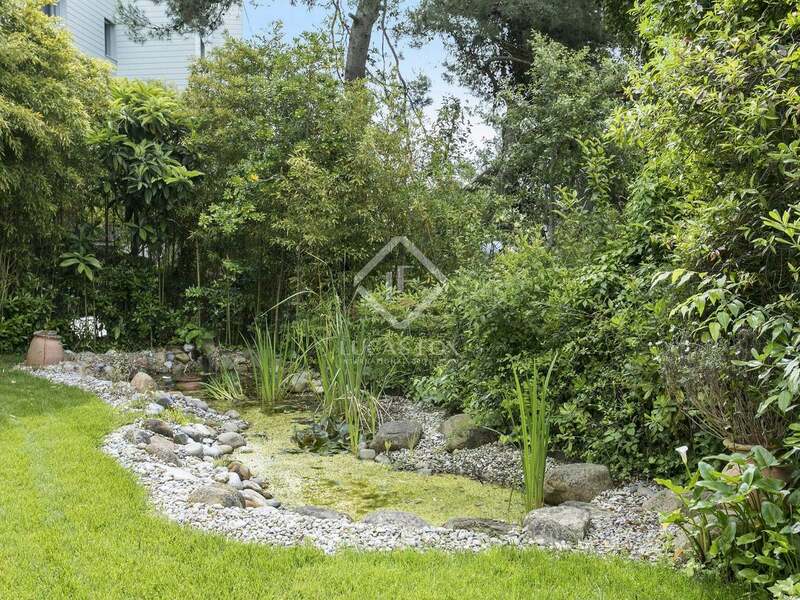 The house is in a private and peaceful setting surrounded by nature and with views of Collsorola park. 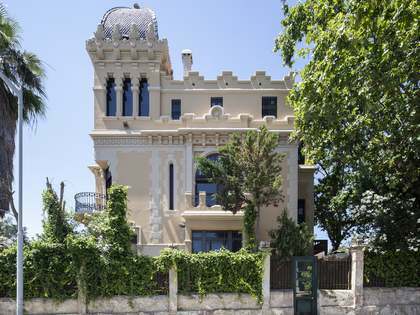 The centre of Barcelona can be reached in around 10 minutes by car whilst there is also an FCG Ferrocariles stop nearby. 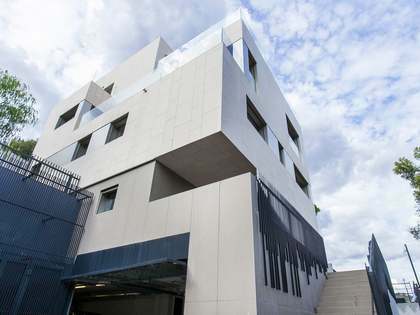 Barcelona's best international schools are located in the Zona Alta making it an ideal choice for international families.